We wrote last week about an impending announcement by Valve. Turns out, that announcement was the new SteamOS. So what is this SteamOS? SteamOS is an operating system that will run on computers meant to be connected to your TV and let you play your Steam games there. The trick here is that the games don’t necessarily have to run on that computer itself but can run on another computer with Steam and then get streamed over local Wi-Fi network. For this, you’ll need any Windows PC or Mac with Steam and your favorite game installed. This machine will then run the game and then stream it over Wi-Fi to your device running SteamOS, which can then be played on your TV. You will be able to access your entire library and also share libraries with other family members in your house. But streaming games is not all that SteamOS can do. Valve’s plan is to run games natively on the OS, which is built upon Linux. Valve says that major game developers are already on board with SteamOS and that you will be seeing AAA games made specifically for SteamOS from early as 2014. 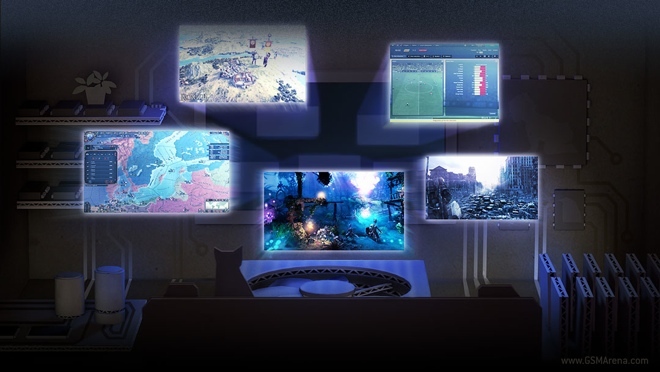 SteamOS also works for streaming music and video content and Valve has promised to bring many media services in future. We have also heard rumors of the Steam Box in the past and although that has not been officially announced yet Valve still has a couple more announcements pending and surely it will be one of them. Perhaps we are looking at a cheap box that just streams your games from another computer or perhaps it is a powerful computer than can run games natively. Or maybe, both. We’ll have to wait and see what more Valve has in store (no pun intended) for us.